The one thing that unites couples around the world is undoubtedly a marriage ceremony. The majority of people begin to prepare for it several months in advance, but there is always something that can go wrong. Especially if you stick to some weird cultural traditions. As TheWeek.com reports, the oldest surviving evidence of a wedding ritual dates back to remote antiquity. According to it, the first man and woman to wed lived in Mesopotamia in 2350 B.C. Since then, people’s attitude toward the wedding has changed and they now try to make it as exciting as they can. 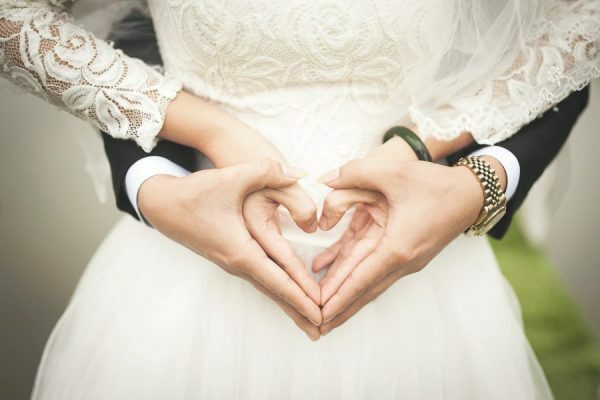 Religion has influenced marriage as well, and thanks to it it has undergone some major changes. That’s why quite a few ancient traditions survive to this day, even though some of them are really ridiculous and weird. In this article, we will talk about the most ridiculous wedding rituals. 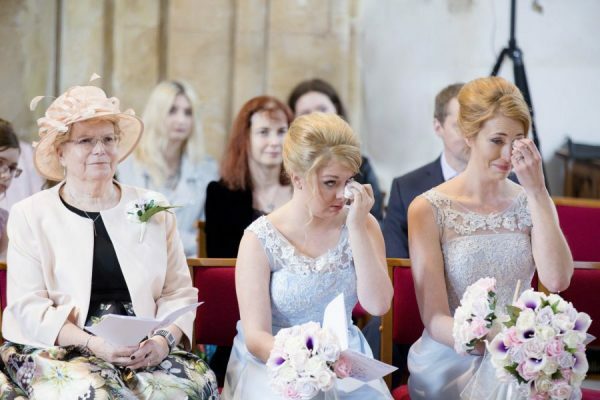 In ancient times, weddings were always accompanied by tears and sadness. You may ask yourself, ’Why are they sad if they’re about to create a family?’ The answer is pretty simple: back in in the old days, lack of advanced means of transportation made it impossible for people to travel long distances. In other words, because they lived in different locations, married couples had a little chance of seeing their families more than once a year. Therefore, when a girl moved to her husband’s place, her family members cried a lot. The tradition survives to this day. One month before the wedding ceremony, a bride-to-be is to cry 1 hour each day. Later on, she is joined by her mum and grandma who show their support for her in such a way. By the end of the month, every female member of the family is to cry with the bride. It sounds like a never-ending song, a ‘salty’ song, to be precise. Marriages are celebrated differently in northern countries. They have their own customs and traditions that were formed in harsh climatic conditions. Scarce sunlight and cold weather prevented the local folks from spending a lot of time outdoors. However, that did not stop them from showing their affection to one another! Here is an example of how the Swedish people express their feelings toward their loved ones. If you happen to be a Swedish wedding, you should not be alarmed seeing a bride kissing other people. 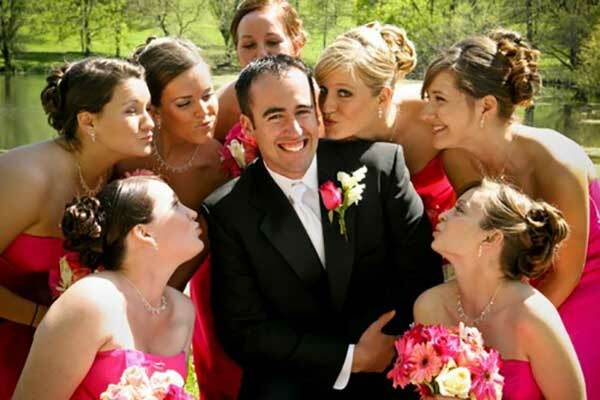 It is perfectly normal for a bridegroom to stay alone and be kissed by other girls (in fact, it is even encouraged! ), too. And there’s nothing wrong with a bride being kissed by other men, either. Kissing everyone is a truly Swedish way of expressing love to each other! 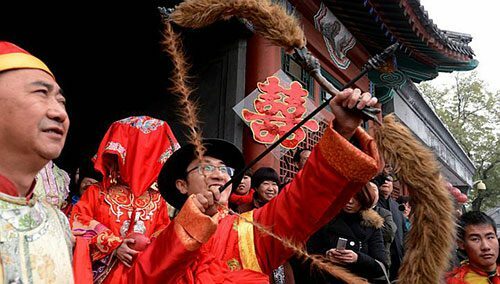 The next weird tradition originated in China. The Yugur ethnic minority living there used to rely on hunting for their daily food. A young Yugur man looking to tie the knot was to shoot an arrow at their wife-to-be, making sure it flew several centimetres over her head. In this way, they showed their sincere love, demonstrated their exceptional hunting skills, and proved their masculinity. Nowadays, Yugur men do not have to procure food by hunting — they can buy it from a nearby grocery store. However, the tradition lives on and they still shoot arrows at their brides, though with blunt tips. And it is considered a bad omen if they miss their aim and hit their wife-to-be. How often do you ask your mother for help? Our parents offer us a shoulder to lean on and guide us through our whole life by sharing their experience with us. They are the only people who will support you in dire situations and ask no money for it. In fact, they help you with virtually anything, starting from tying your shoelaces to writing a custom coursework. Some African tribes believe it’s quite OK for parents to be overprotective. That’s why they have older women stay with newlyweds during their first night to teach them how everything works. Do you still think your parents tend to go overboard meddling in your affairs? Wedding rituals differ from country to country. People living in different geographical settings associate the wedding with different emotions — sadness, happiness, anxiety, and seriousness. 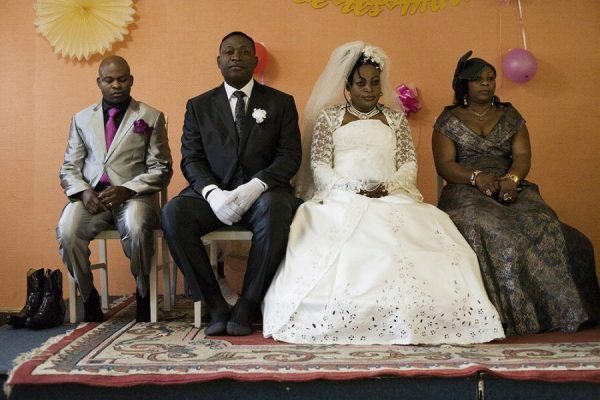 For example, a wedding ceremony in Congo is an extremely serious business (‘serious’ is to be taken quite literally here). According to the local tradition, the bride and fiance should not smile during the whole celebration. If you are a bridesmaid or best man, you shouldn’t crack any jokes, either. If you do, you risk being considered a threat to the proceedings. 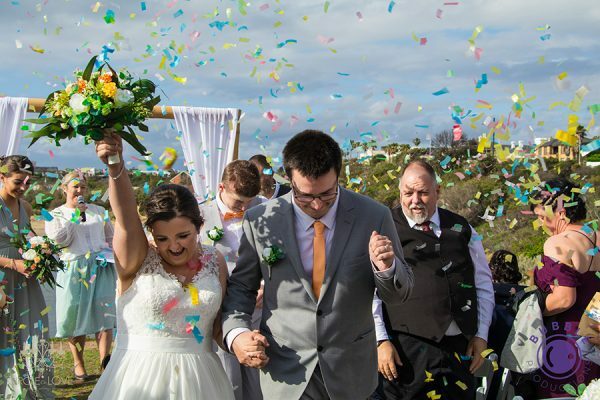 With rare exceptions, weddings are always joyous occasions which people look forward to with great anticipation. Though some of the wedding rituals may seem weird and exotic to you, they’re still rigorously observed in many parts of the world. Look around and maybe you’ll find one in your own country, too?